Host and run business software on virtual machines. Create your own virtual machine and manage its lifecycle. Get access to virtualized hardware resources (CPU, RAM, disk space, and SUSE Linux Enterprise Server operating system) on which the installed software runs. Create a security group rule to manage the network communication of your virtual machine. 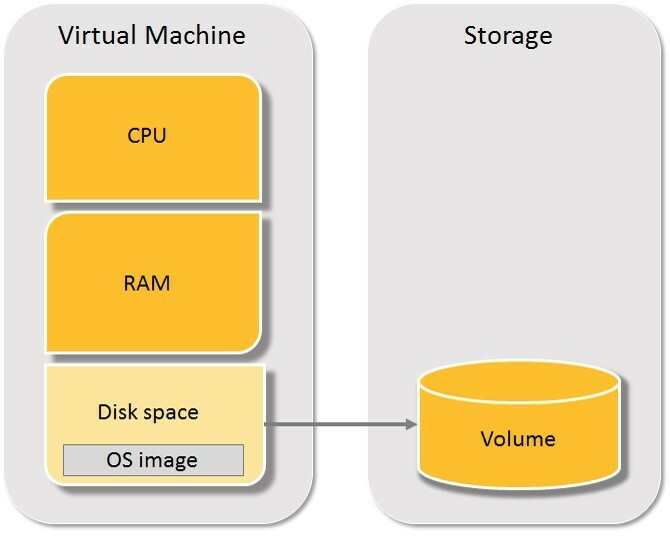 Take a snapshot of an existing virtual machine volume in your subaccount. Use it to create a new virtual machine with the same file system, thus skipping manual installation steps. 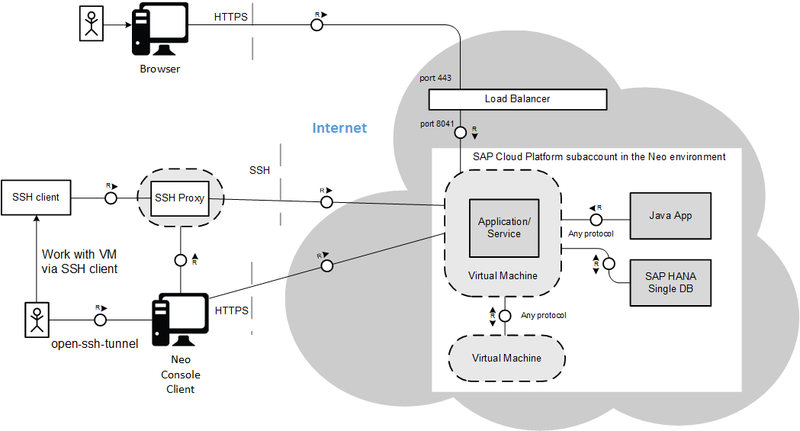 Consume an SAP HANA database from a virtual machine using Java Database Connectivity (JDBC). 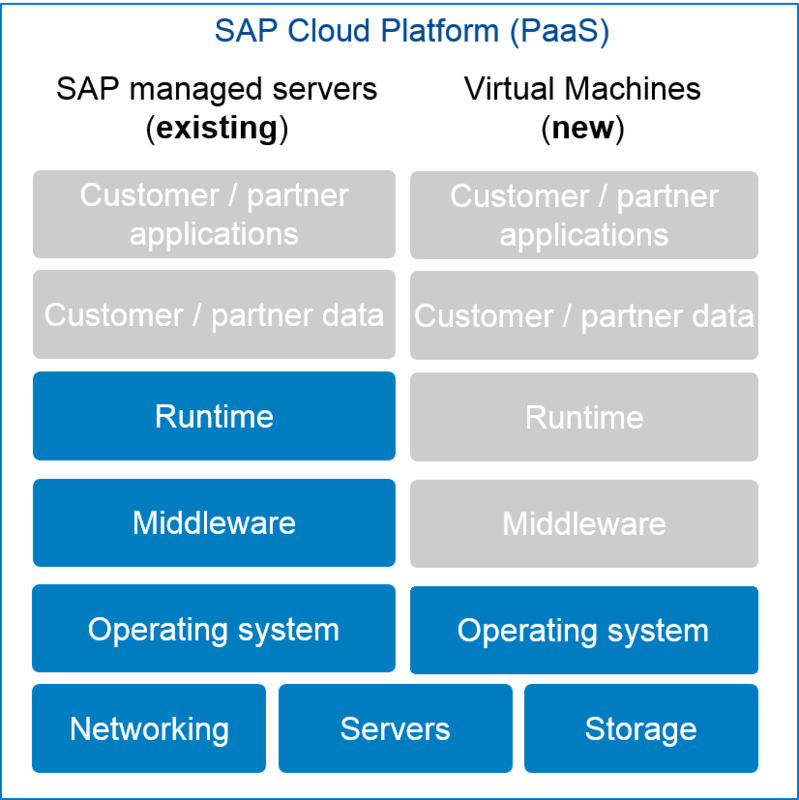 A virtual machine enables you to deploy, run, and manage your own applications for scenarios that complement or extend your SAP Cloud Platform solutions.